Race in 21st Century America tackles the problematic and emotionally laden idea of race in the United States: it brings together intellectuals and scholar activists-representing genuine racial, ethnic, and ideological diversity-who present critical and often conflicting appraisals of how race remains a central component of the nation's social landscape and political culture, and shows how Americans might begin to move beyond the strictures of race and racism. 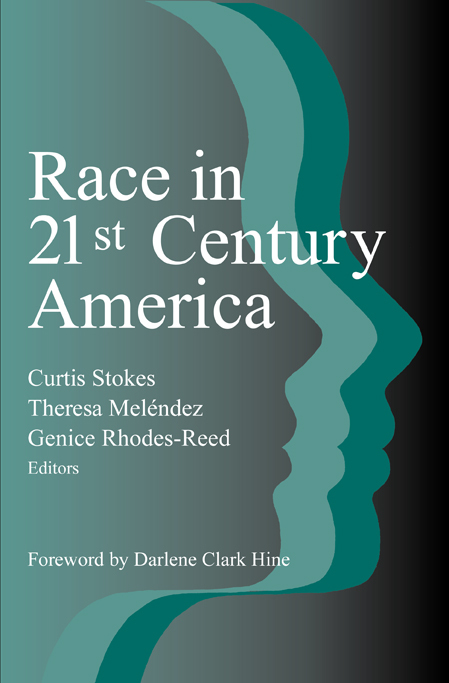 Contributors to this collection explore how race has been, and continues to be, employed and conflated with notions of power, prejudice, inequality, and privilege. Accordingly, the volumes' four sections speak to these historical and contemporary dimensions of racial discourse and practice: "The Concept of Race," explores the origins and idea of race; "The Social and Cultural Boundaries of Race," examines the fusion of culture and race and how this affects society; "Race and Public Policy," examines public policy implications of the uses of race; "Strategies for Racial and Social Justice," provides keys for moving beyond existing racial paradigms in the struggle for a more democratic and just America. Curtis Stokes is Professor of Political Theory and Black Politics in James Madison College at Michigan State University. He has edited and authored six books, including the award-winning Malcolm X's Michigan Worldview: An Exemplar for Contemporary Black Studies and The State of Black Michigan, 1967–2007. Theresa Mel\u00e9ndez is Associate Professor in the Department of English and Director, Chicano/Latino Studies, Michigan State University.